Elections are generally problematic in Sri Lanka. More often than not, they are marred by violence, malpractices and abuses. Thanks to the signals sent out by the new government that came to power in January 2015, and the assertiveness of the Election Commissioner, the country managed to conclude a free, fair and largely peaceful election for parliament on 17 August 2015. The election was closely contested, the primary contest was between the United National Front (UNF) and the United People’s Freedom Alliance (UPFA) led by former president Mahinda Rajapaksa. Rajapaska, who was defeated convincingly in the January 2015 presidential election, was trying to come back to power through parliament, and he had the support of mostly Sinhala-nationalist constituencies. Although no party managed to win a clear majority of 113 seats in the national legislature, the UNF emerged as the clear winner with 106 seats. In fact, the party has 107 seats as one of its allies, the Sri Lanka Muslim Congress (SLMC), which contested under the UNF symbol of elephant won a seat on its own (with its symbol of a tree) in the Eastern Province. This puts the UNF only six seats short of a simple majority, which could have been achieved with crossovers from the UPFA, as several of the UPFA members, it is believed, are eager to join the new government. Meanwhile, the UPFA, which won only 95 seats, had absolutely no possibility of forming a government as the Tamil National Alliance (TNA) and the Janatha Vimukthi Peramuna (JVP) could not support the UPFA in general, and Mahinda Rajapaksa in particular. These two parties were instrumental in bringing Rajapaksa down in January; they were not prepared to bring him back to power. Against this backdrop the idea of a national government was mooted between the UNF and the Sri Lanka Freedom Party (SLFP) – the predominant partner of the UPFA. This idea of a national government has a multitude of fundamental problems. First of all, the tag ‘national government’ is a misnomer because the other two major parties in parliament, the TNA and the JVP, will not join this arrangement. Therefore, the administration should be called the UNF-SLFP government, not the national government. Major rival parties in a country usually come together to form a national government to face a crisis situation or after a catastrophe. Such arrangements are preferred, for example, under conditions of war or political instability. 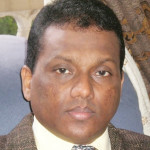 Sri Lanka presently lacks a crisis that necessitates a national government. In other words, this agreement lacks a specific objective. The parties have indicated that they will work together for two years, but do not spell out what exactly they would achieve in these two years. This ambiguity has led to criticism that a national government is being contemplated only to share the resources of the government between the two major parties. Without a specific objective, a national government could mean squandering of state resources. Also, a UNF-SLFP government goes against the mandate given by the voters in the general election. These two parties contested the election on totally different agendas and slogans. While the UNF focused on larger issues such as good governance – or rather lack of it – and creating a new and clean political culture, the UPFA based its campaign completely on the personality of former president Mahinda Rajapaksa. Bringing him back to power was their main objective. It also extensively used racist and anti-minority slogans to win votes, which went against the whole idea of promoting good governance. Therefore, one can safely assume that these two parties will not be able to work effectively on a common program. The agenda of the UPFA was rejected not once, but twice within six months. The party was also rejected by voters in the January 2015 presidential election. Therefore, forming a UNF-SLFP government is tantamount to bringing back to power a defeated party through the back door. Perhaps the major problem with a UNF-SLFP government is that it could potentially prevent political reform and good governance. The UNF won the general election on the promise of a clean government and correctly argued that the previous government was corrupt, abusive and undemocratic. A UNF-SLFP government would include many of the former ministers who were part of this corrupt, abusive and undemocratic government. Will they allow reform of the political system and action against those who abused power in the past? Probably not. Therefore, the best option available for Sri Lanka right now is to allow the UNF to form the government and the SLFP should sit in the opposition. Alternative arrangements could be contemplated if the UNF cannot prove its majority in parliament. *Dr S I Keethaponcalan is Chair of the Conflict Resolution Department, Salisbury University, Maryland. Dr Keethaponcalan is right. When he says “”” parties in a country usually come together to form a national government to face a crisis situation or after a catastrophe….””” We have indeed been through a catastrophic time these last six years, when peace has been followed by a failure of government to resolve the many unanswered questions at the end of the war, the failure to see through a proper programme or reconciliation, restitution of property and other rights to those who suffered during the war, failure to establish law and order, failure of the justice system etc etc. That is why the majority of the electorate voted for a ‘national’ government that would restore good governance with the objective of resolving all the above issues. Instead what is becoming clearer by the day is that we are about to go down the route of more of the same old crap. Ranil W is about to become the laughing stock of this circus if he doesn’t watch out. It is indeed true that UNF should be the party that forms a government. Nevertheless the deals and agreements between President Srisena and PM Wikramasinghe are not widely known. The President’s election manifesto was clear on a “National” government and hence the support of the SLFP voters were expected at the Presidential election. This government is indeed not a response to a political or economic crisis at this present moment, but a one that was present at the time of Rajapaksa government. On a separate note, the election being free and fair is debatable. The intervention by the executive at the last minute, prompted by intelligence received on a UPFA win, does not make the cut. Now it is obvious that this little intervention by President, even it tainted the fairness of the election, was critical in UNF wining the majority and the common objective of preventing Rajapaksa’s come back. This “National” government can be seen as a pay back to Mr. Sirisena for his assistance to UNF. I agree that this government is yet to publicize its goals for the two years. I can’t recall any party publicly promoting any sound policy during the campaign. As it was the case during the Presidential poles, it was all centered on themes, pro-Mahinda vs anti-Mahinda. It was such a pity, but as I said before, that was the crisis at hand. The author’s approach to the validity of the present national government,if one may call it as such is not totally correct. It is a fact that Sirisena couldn’t have won on January 8th if not for UNP support and similarly UNP or UNF couldn’t have won ( or what they have achieved) if not for Sirisena’s full support. Under such circumstances Ranil couldn’t have let down Sirisena by persuading or buying over six or more MPs of UPFA to join the government. It has also to be remembered that not all the UPFA members were pro_Mahinda. At least about 20 of them were totally against Mahinda becoming PM. Under the above circumstances what has happened now, whether you call it a national government or a coalition is the best that could have happened! I think Keethaponcalan is writing from national interest perspective and you are thinking from Sirisena-Ranil interest. I think both are legitimate. I am so confused as to why we insist on legitimising the term “National Government” This is NOT a national government by any stretch of imagination. It is a marriage of convenience between two parties to maintain the status quo and hang on to power. To divide the spoils of being in power through increasing the size of the cabinet to accommodate the corrupt, criminals and crooks. So, please, let’s call it a coalition government or anything but a national government thus legitimising the abuse of power. people. He had an opportunity to form a govt. with simple majority with TNA & JVP as partners and taken full responsibility as a UNP govt. at war but the govt. conveniently called it a national govt. to beat the law. Being a Chair of the Conflict Resolution Department, Salisbury University, Maryland you would have made aware of those ground situations and good reasons. Since then emancipated necessity was to confirm the change through Parliament, that was lacking during the interim government and was turbulent. No political party contest an election to lose the election to power, all parties want to win. Ground Situation and election results mandated the National Government, but political parties having difference of opinion made two major win-win political parties join to-gather (the name is irrelevant) to confirm the journey towards the DEMOCRACY AND GOOD GOVERNANCE. It is too early to predict the outcome of it particularly lack of knowledge about the ground situation, of course there will be criticism for every aspect, but the consorted and dedicated effort for a good course is very visible in both of the leaders and that is important right now. Support the present level national government that could work with the TNA and JVP. The goodwill is there. You lack political maturity to understand the underline methodology of the new government. Finding fault is not the answer. You must start to write in the positive angle. 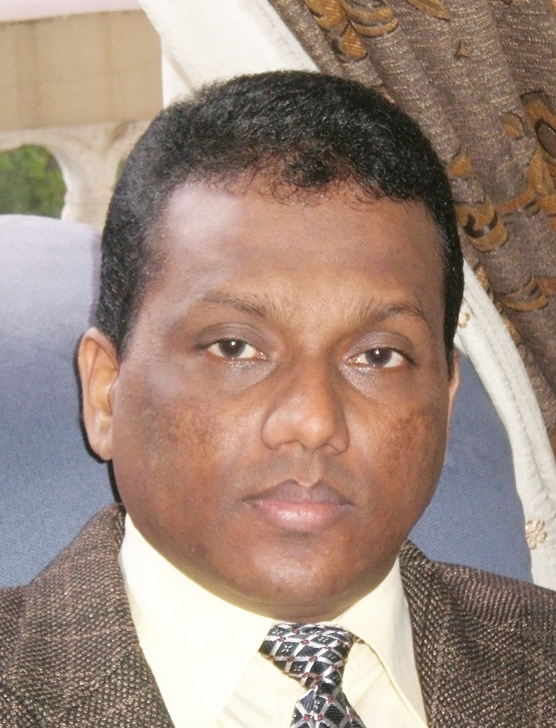 I made my judgement wrong with Mahinda. Bygone is bygone. I am for Maithiri and Ranil now. I will support and work with them to make their mission a success. You can join me in this effort. If this is possible Ranil also can and should act as opposition leader while serving as prime minister. He can have the cake and eat it. Ranil must consider seating 48 UNPs in opposition. Then of course Judges can sit in the dock while accused sit in Judges’ bench. Crooks can investigate the police, war criminals can investigate themselves, ………. there is a whole lot of possibility one can explore, …. It is true that it is not a national government based on any common interest. However, I assume that Chindrika_Maithiri_Ranil group must have common programme and Common interest which may include good governance, changing the constitution , addressing the devolution issue etc. To achieve that they need a two third majority in Parliament. Mahinda has created a power culture where they enjoyed unlimited financial gain through ministerial posts. Mahinda made his all his wishes just throwing ministerial positions and I am sure there are lot of parliamentarians will do the same. This is the tactics behind the appointment of ministers, the difference is that Mahinda used it for his personal interest but I assume that Maithiri group is going to do for common national interest. I don’t get a good feel about this. Lets wait and see. Now most of the hour are already ins government. This is really a “coalition” government and NOT a “national” government, cunningly crafted by Sirisena probably to be the political head of this government, rather than be merely the President of the nation. During the time of the previous regime, the ex-president Rajapakse too appealed to opposition parties to join in a National government but he too was not successful. 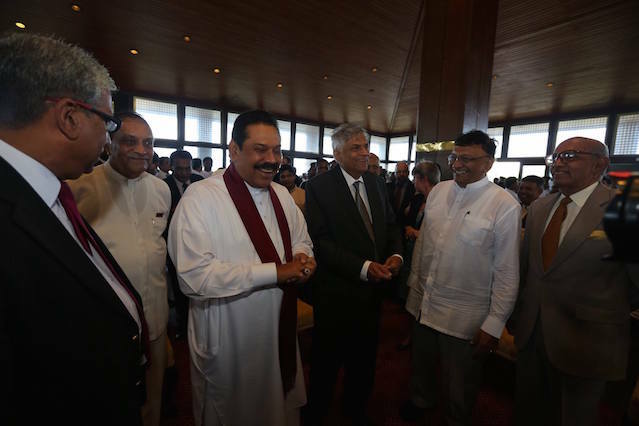 There is one common interest between Ranil and Maithiri, which is definitely in national interest as well – preventing Mahinda from returning to power (not just the individual, but all that he symbolizes and bring with him). I think this will pass the ‘crisis’ test, and therefore, the current experiment is justified and worth the risk.